October was a busy month for us all here in Cromer. 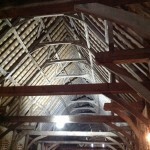 The First North Norfolk Walking Festival was launched at Waxham Barn. In the spooky half dark (because of the bats) we unfurled our banner & had a jolly time meeting other walking groups and members of the public, then off for a breezy walk to see the seals at Horsey. 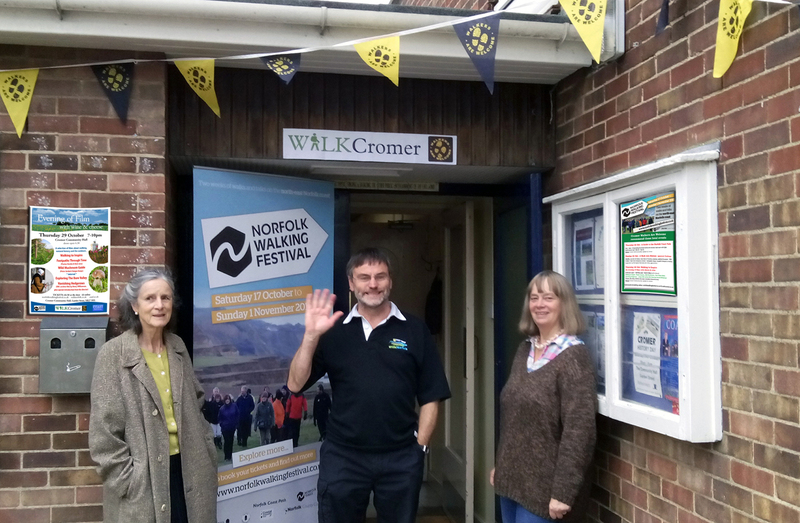 We supported the illustrated talk on The Norfolk Coast Path by Tim Lidstone­ Scott at Cromer Community Hall. An appreciative audience enjoyed his wise words plus our yummy teas & scones to follow. Don, leading. 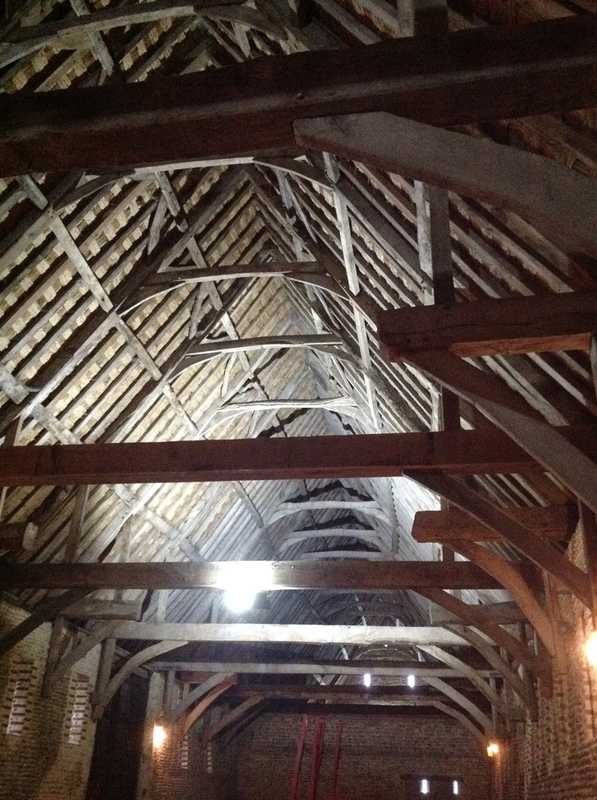 The walk was enlivened by historic readings & church visits, and the Aylsham Walkers are Welcome group met up with us at Erpingham. 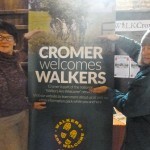 Kate Ashbrook, President of the Ramblers Association, came along too, and our MP Norman Lamb also joined in. 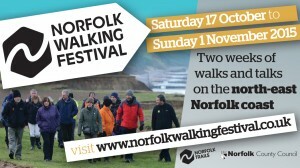 Huge thanks must go the the Norfolk Trails team for organising the Festival. 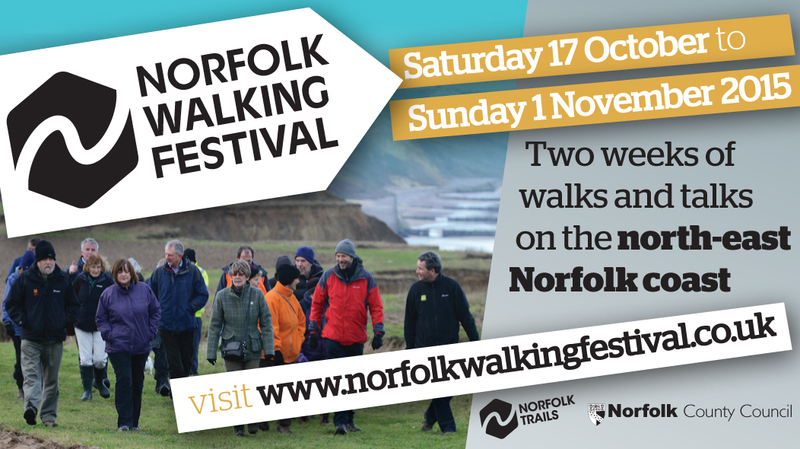 With more than 40 walks, talks and events we feel it has really helped to highlight the many facets of walking North Norfolk. 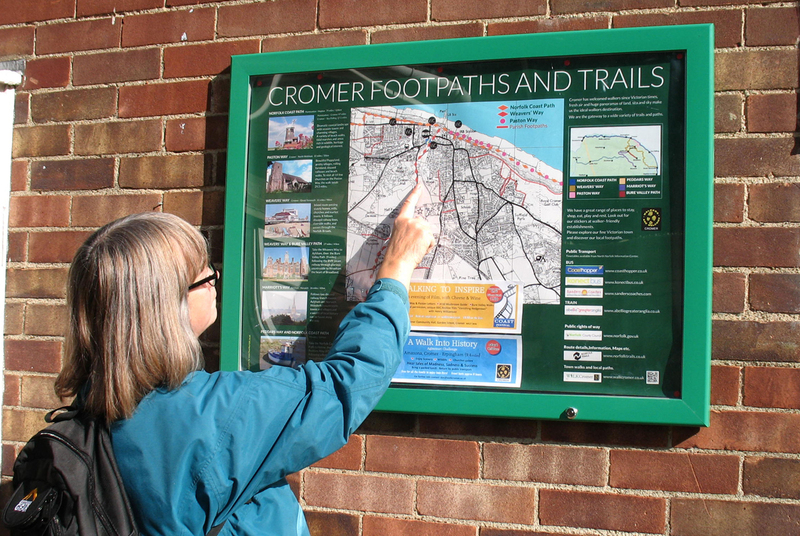 MAP PROJECT: Our big map & information boards are now in place at the train station, the bus station, the cabin near North Lodge Park and outside the Community Hall. They are super­-smart and have received much positive comment. 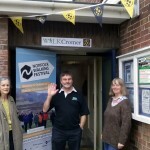 NATIONAL CONFERENCE: We will be represented at the National Walkers Are Welcome conference in November. A Massive quilt is being assembled with blocks from each town… Ours is now ready! WINDOW STICKERS: We are steadily incorporating local business into our Welcome Window Stickers Project. Artyfax on Church St has also taken our Souvenir Walkers Passports. We are negotiating with newly opened Mountain Warehouse, and other traders are being encouraged to offer special deals to walkers. PASSPORT DISPLAY STANDS: Our dinky little souvenir Passports are packed full of information about the walk between Cromer & Sheringham (History, geology, birds, fossils etc.) 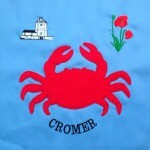 They’re available at Cromer Information Centre, Artyfax in Cromer… and more locations soon. 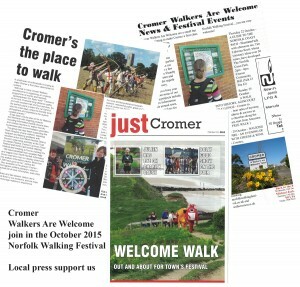 They only Cost £1 & all goes to support Cromer Walkers Are Welcome project expenses. 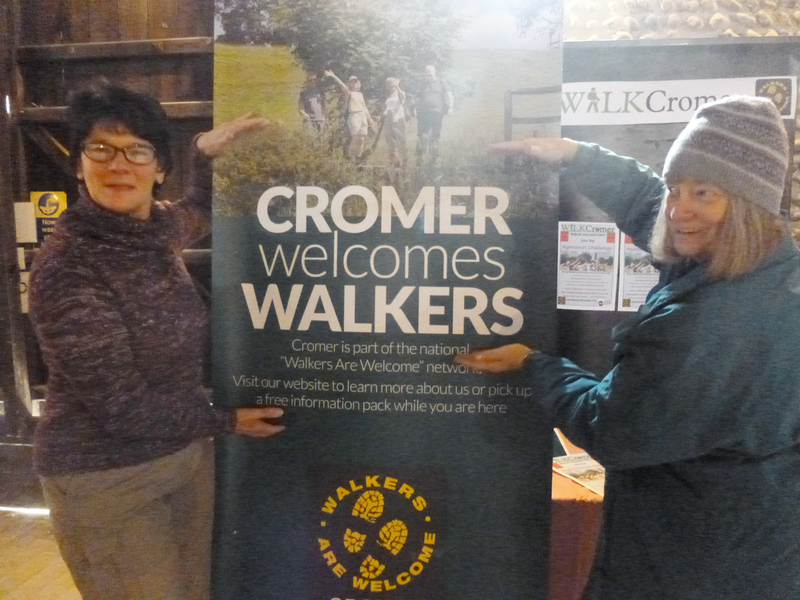 CROMER TIC DISPLAY: Our Free Walkers Welcome Packs are going fast. 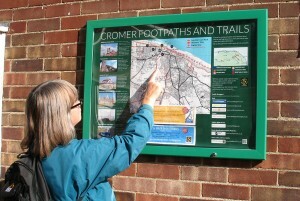 They contain relevant local leaflets & specially produced information sheets for walkers. It’s hard to keep up with demand and we are most grateful for any donations popped into our pipe, it all goes towards our printing & paper costs. We are developing our own “Footpath Warden” scheme. 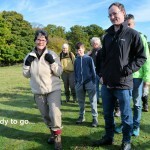 WALKERS GALLERY: Our website is growing with some super walkers photos & useful links. There is a geology walk here on Easter Sunday. Please call and book to secure a place. Pathclearing this week - we welcomed the help of two lovely ladies from our local Yorkshire Building Society branch who pitched in with great energy under Hilary's direction (helped by Gabriele). So huge thanks to Karen & Teresa (plus Sansa) - job done! 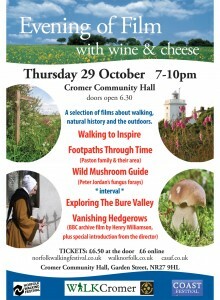 Whatever the weather we shall find lots to interest us and due to the local microclimate - or is it the tides? - we are often miraculously blessed with fine weather on our geology walks. Our friends at nearby Northrepps Village are planning a most enterprising walking event on Sunday 5 May - a date for the diary! Things are getting interesting here for birders! A pair of peregrine falcons have taken up residence on top of Norfolk’s tallest church tower, attracting a flock of a bird watchers waiting with bated breath to see if they will breed.